Discussion in 'Gameplay Discussions' started by Sera, Dec 29, 2017. 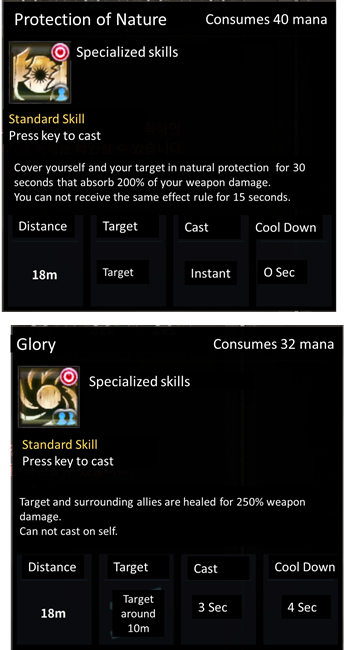 If you click on the skill it brings up the skill descriptor. Basically Dandelion propels the caster 8m forward (instantaneously). The skill has an 8 sec CD and you cant cast or do anything whilst it moves you 8m forward. There is no mention in the skill descriptor if it makes you immune to CC, but observations are the move is almost instantaneous move forward. Also this has all the healing and offensive skills. Yeah, I've red it already, thank you for it. I probably missed smth about CD. The information about CC immune is from different forum, but it doesn't matter if it's almost instant. Sad to have no CC immune... Looks like mystic will be a sweet target, hope I'm wrong. Besides, at least gunners and tanks have skills that reduce incoming healing (have no information about the others). You can move through areas without taking damage with dandelion. The mystic is a tough target to take down, in terms of mobility it has dandelion in dps stance and leaf in heal stance and as you can switch stances in combat you can keep very mobile. 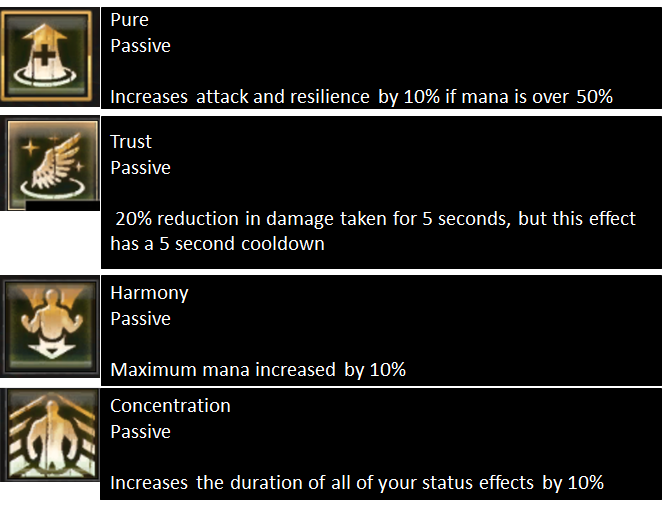 In addition the mystic has dps skills that reduce healing, although purify can remove those debuffs. Plus if you know how to play the class it has a wicked dps to, as well as a c.c. so you can root targets then dandelion/leaf away and then drop radient effects on the targets followed with a finishing move. Where these moves can be cast whilst running. It's perfect Sera! Can I translate your guide for russian community? Thank you for the kind words, and please do translate for the Russian community, the wider the audience the better for all of us. Hi, I have translated all the mystic healing skills (active and passives). 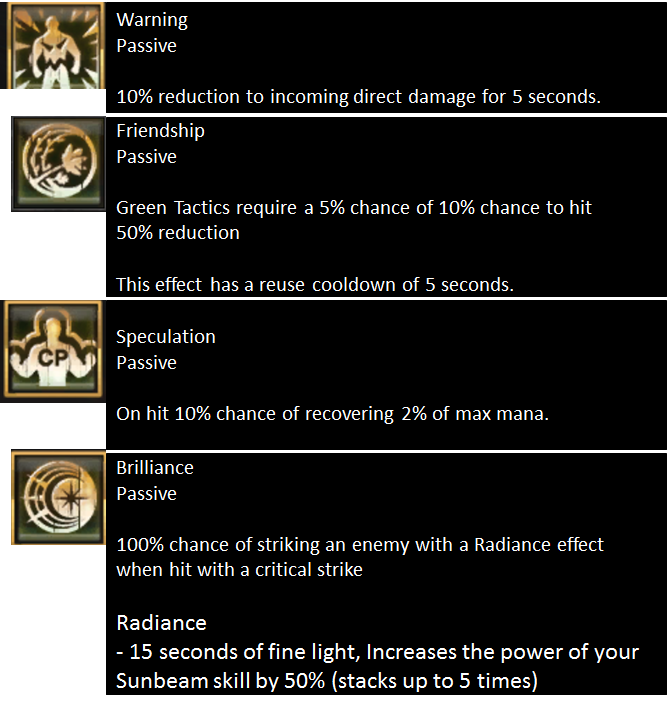 I am working on a fan site where these skills will be in a skill calculator to make various builds, but that is work in progress. Nice work! Love those skills. But no resurrection skill? I just HAD to Thank you and also say that these skills are very, very interesting and unique. I play world of warcraf at decent high ”rating” (2600) and this reminds me of wow combat But alot better. It reminds me of Wrath of the lich king and Mist of pandaria. If They do the animations decent good, no FPS drops and keep doing more fun and entertaining skills then i Will for sure play this over wow any day at the moment.